Prompt observation of Gamma Ray Bursts (GRBs) events are unanimously considered of paramount importance for GRB science and related cosmology. Such observations at NIR wavelengths are even more promising allowing one to monitor high-z Ly-alpha absorbed bursts as well as events occurring in dusty star-forming regions. 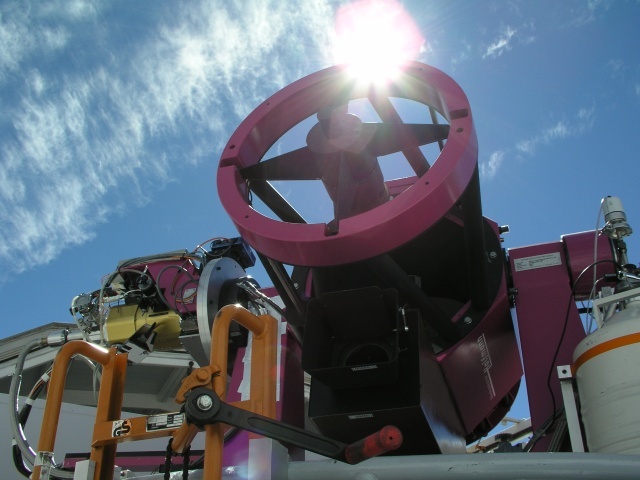 REM (Rapid Eye Mount) is a fully robotized alt-az 60-cm fast slewing telescope equipped with a high throughput NIR (four filters) camera (REMIR) dedicated to detecting the prompt IR afterglow of GRBs. A dichroic placed at one of its Nasmith foci splits the beam in two: one feeds REMIR and the other ROSS (REM Optical Slitless Spectrograph). REM can discover objects at extremely high redshift and trigger within minutes large telescopes to observe them. ROSS will intensively monitor the prompt optical continuum (450-900 nm) of GRB afterglows via a low dispersion GRISM. It is also equipped with standard VRI filters and, in the future, with a polarizer. 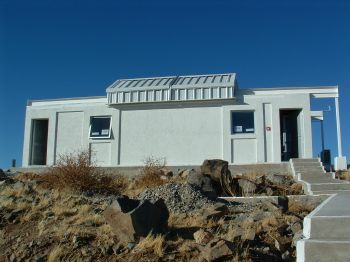 REM is placed at La Silla (Chile) and is collecting images since 2003. ROSS reforms, via a suitable fore-optics, a pupil where an AMICI prism is located. The spectra are then reformed on the focal plane via a magnification 1 camera. The CCD is a Marconi pre-mounted in a detector head cooled by a 3-stages Peltier system made by Apogee (model AP47). If you have any question about ROSS please contact E. Palazzi or L. Nicastro.